The Toronto Marlies announced today that the Eastern Conference Finals will begin at Ricoh Coliseum on Saturday, May 19, followed by Game 2 on Sunday, May 20. Both games will be at 4:00 p.m. Tickets for Games 1 and 2 are available for sale today at 11:00 a.m. through Ticketmaster. Toronto will face the winner of the Atlantic Division Finals, either the Charlotte Checkers (Carolina Hurricanes) or the Lehigh Valley Phantoms (Philadelphia Flyers). 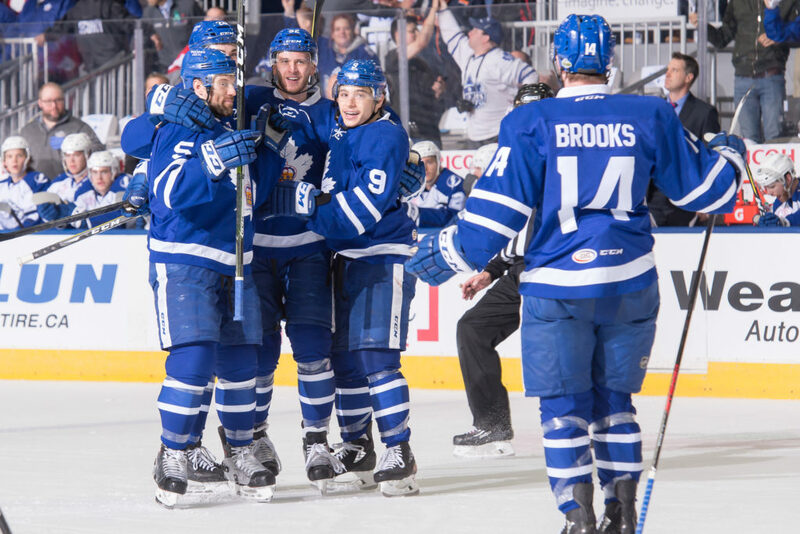 Toronto swept the Syracuse Crunch in the best-of-seven series on Tuesday with a 2-1 win on the road. All Toronto Marlies playoff games will be televised live on Leafs Nation Network. For more information on the Toronto Marlies 2018 Playoffs Presented by Scotiabank, visit the Playoff Hub.